It isn't often that you find something that gives you or your children the ability to have fun and really make a difference. 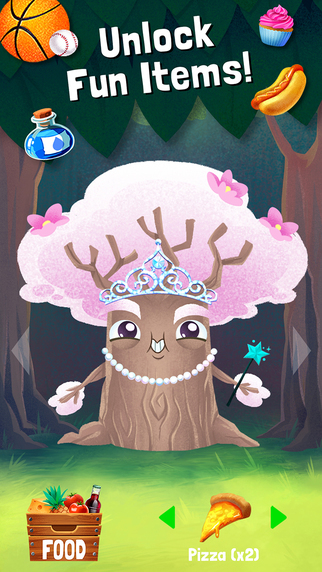 The new Tree Story app from Zig Zag Zoom is one such opportunity. 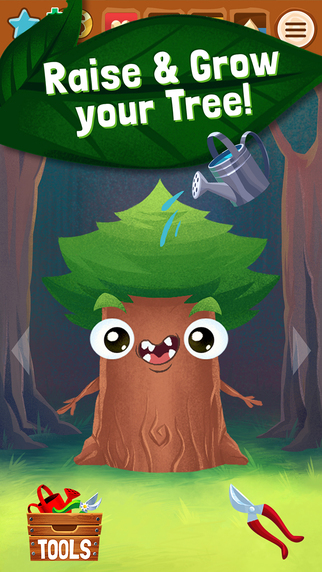 In this fun and interactive app, you can raise a virtual tree from a seedling to a sapling, and eventually to a treeling by giving it food, water, sun and love. Once you plant your virtual tree, a real life tree is planted as well, through one of the app's reputable partners. How cool is that? 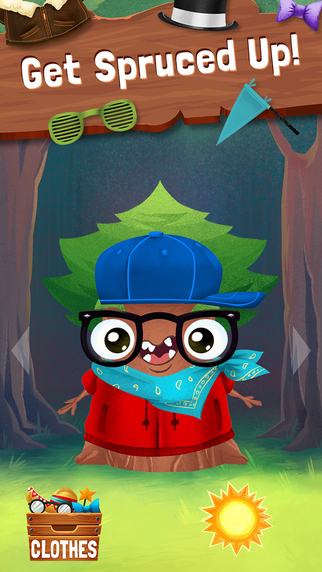 You start your journey in the Tree Story app by choosing where you want to plant your tree when you are finished. Will it be in a forest or perhaps and urban city? Once you have chosen the location, you can choose from a variety of different tree types including oak, elm and maple trees. Then, you get started giving your little seedling everything it needs to grow and thrive. Along the way, you can interact with your tree by talking to it or playing fun puzzle and action games that both you and the tree will enjoy. You can choose from a range of forest-themed games to keep you entertained. Other features include customizing your seedling or sapling with items you earn or purchase with coins earned along the way. You can experiment with potions that can be bought with earned coins too. These potions can help speed up the growing process of your tree. Once you have successfully raised your seedling and it becomes a beautiful and thriving treeling, you can choose to plant it in the app. In turn, a real life tree will be planted as well, by partners including: the U.S. Forest Service, Project Learning Tree, Arbor Day Foundation, Alliance for Community Trees and The Nature Conservancy. The first live tree planted through the app was just put in the ground on Earth Day April 22nd in Washington DC at the Yu Ying School. Americans spend an average of 2 hours and 38 minutes on their phones each day, and 50 of those minutes are spent playing games. 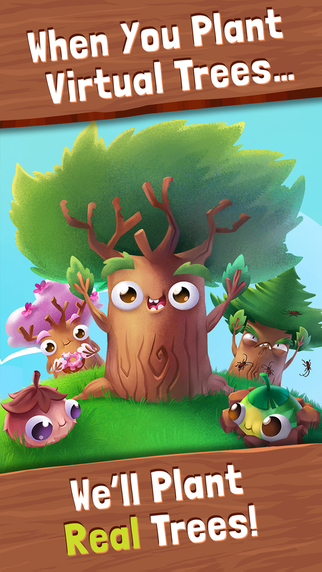 Why not make a difference with your game play and help change the world by downloading the free Tree Story app today!